Assistant Professor, Department of Politics, Ithaca College, Ithaca, New York, U.S.A., (1995 – 1997). Sundar Parthasarathy, Kirankumar S. Momaya, and Shishir K. Jha, “Internationalization of Indian Firms: An Exploratory Study of Two Firms from the Tyre Industry” in Journal Of East-West Business, 2016, Vol. 22, No. 4, pp. 324–350. Sreelekha S, Pushpak Bhattacharyya, Shishir K. Jha and D. Malathi “A Survey Report on Evolution of Machine Translation”, in *International Journal of Control Theory and Applications*, 9(33), pp. 233-240. Sheetal M and Jha, Shishir K. Jha “National biosafety system for regulating agricultural biotechnology in India”, International Journal of Biotechnology, 2016, Vol. 14, No. 2. Sheetal M, Shishir Jha and Karuna Jain, “Patent Landscape Analysis of Crop Biotechnology in India”, in International Journal of Intellectual Property Management, 2015, Vol. 8 No. ¾.
Rashmi Dyondi and Shishir K Jha, “Whose Market is It? Multiplexes vs. Single screens in India”, in The Empirical Economics Letters, April 2015, Vol. 14 (4). Joseph, Rojers P and Jha, Shishir K. “Digitization, Internet publishing and the revival of scholarly monographs: An empirical study in India,” First Monday, 2015, Vol. 20:1. Rojers P. Joseph and *Shishir K. Jha*, “The dichotomy between firm motive and market need in university press publishing: Evidence from the Indian college textbook market”, in The Empirical Economics Letters, 2013, Vol. 12 (9). Rojers P. Joseph and Shishir K. Jha, “Crisis in scholarly journal publishing- ‘For profit’ open access model as a sustainable alternative: The Case of Medknow Publications” The Macrotheme Review: a multi-disciplinary journal of global macro trends, 2 (2), pp.10-22, Spring, Special issue on education and training, 2013. Mukundan R, Karuna Jain and Shishir K. Jha, “Technology and Intellectual Property Strategy of a Firm: A view through the commons theory lens”, IIMB Management Review, 2013, Vol. 25, No. 4. Shishir K. Jha, R Mukundan and Karuna Jain, “Linking Innovation Process to the Provisioning of Public Goods: Case of Neglected Diseases”, in The Journal Of Innovation: The Public Sector Innovation Journal, Volume 15(2), 2010. Hattangdi, A., Shishir K. Jha, and Atanu Ghosh, “A Literature Review of the Perceptions of Faculty About Technology Enabled Distance Education”, in International Journal of Arts and Sciences (2010), 3 (18): 379–390. Babu Paul and Shishir K. Jha, “Policy options for developing countries for the accessibility and affordability of medicines under TRIPS”, The ICFAI University Journal of Intellectual Property Rights, Vol. VIII, No. 1, February 2009. Praveen Bhasa and Shishir K. Jha, “Abetting Misgovernance in India: Historical Precedents”, in Corporate Governance Law Review, 2007, Vol. 3, No. 3, pp. 313-350. Shishir K. Jha, “Copyright and the importance of digital public domain for developing countries”, Manupatra Intellectual Property Reports, July 2007, Vol. 2, No. 3. Shishir K. Jha, “Copyrights and Copyduties – Importance of the public domain for developing countries”, in Review of Business Research, 2004, Vol. 3, No. 1. Joseph R. P. and Shishir K. Jha (2012) “Digital publishing: Pothi.com,” Ivey Case Publishing, June, Case No. 9B12M037. 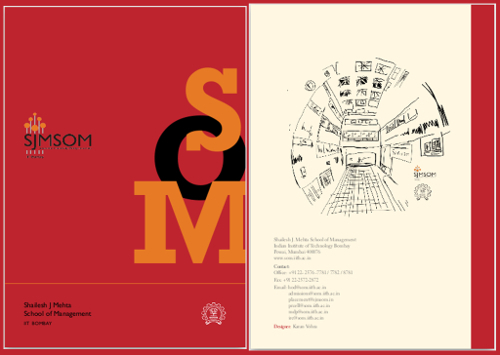 Namita Shah and Shishir K. Jha, “User Generated Content and the Changing Business Environment”, Presented at the 2nd European Conference on Social Media, ECSM 2015, School of Accounting and Administration at the Polytechnic Institute of Porto Portugal, 9-10 July 2015. Shishir K. Jha and Amrutaunshu Nerurkar (2010), “Expanding Open Source Into Other Domains: Analysis Of Open Source Biomedical Research”, in “Politics of Open Source”, Journal of Information Technology and Politics. Shishir K. Jha, Rojers P. Joseph & Niraj Mankad (2010), “Technology and New Digital Sensibilities: Impact of Digital Text 2.0”, PICMET International Conference Proceedings, Phuket, Thailand, July 18-22. Niraj Mankad and Shishir K. Jha (2010), “Leveraging Technology for Lowering Access Barriers: The Case of Moser Baer in the Indian Film Industry”, PICMET International Conference Proceedings, Phuket, Thailand, July 18-22. Rojers P. Joseph and Shishir K. Jha (2010) “The impact of digital technology on publishing business models: revisiting the strategic paradigm”, Joseph R. P. and Jha S.K., Globelics 2010, 8th International conference, 1-3 November, University of Malaya, Kuala Lumpur, Malaysia. Karuna Jain, Mukundan Raghavan and Shishir K Jha (2009), “Study of the linkages between innovation and intellectual property”, Management of Engineering & Technology, PICMET International Conference Proceedings. Ashish Hattangadi, Atanu Ghosh and Shishir K. Jha (2009), “A cost benefit analysis at a macro level for making decisions about innovative use of information and communication technology in education”, in Proceedings of the Decision Sciences in Global Enterprise Management, (ed) Karuna Jain and Rahul J. Patil, January [Macmillan]. Rojers P. Joseph, Amrutaunshu N. Nerurkar and Shishir K. Jha (2009), “Open Access publishing: The new wave in scholarly journal publishing”, presented at First international conference on Management of Technology for Educational Practices (MTEP), Bengaluru, 29-30 July. Niraj Mankad and Shishir K. Jha (2008) “The Role of the state in negotiating a digital economy,” conference on “Development Through Planning, Market, or Decentralization?”, Indian Institute of Technology Bombay, Mumbai, India. Mukundan R and Shishir K. Jha (2008), “Intellectual property as a measure of firm’s innovativeness for public goods”, International conference on WTO, India & Trade Strategy, December 26-27, 2008 at IIM Kozhikode, Kerala [Best Paper Award – unpublished]. Niraj Mankad and Shishir K. Jha (2008) “The Role of the state in negotiating a digital economy,” conference on “Development Through Planning, Market, or Decentralization?”, IIT Bombay, Mumbai. Shishir K. Jha (2008), ‘R&D Behavior for Addressing Infectious Diseases in India after TRIPS’, presented at the sixth AIB-India International Conference, IIM Indore, August. Shishir K. Jha (2007), ‘New models for the digital environment’, presented at the 10th International Strategic Management Forum Convention, IIT Bombay, May. Praveen M. Bhasa & Shishir K. Jha (2005), ‘Corporate mis-governance in post-independence India: Examining Government-Industry Nexus’, presented for the third international conference of AIB India, VG SOM IIT Kharagpur, January 11-13. Shishir K. Jha (2004), ‘Copyrights and Copyduties: Importance of the public domain for developing countries’, presented at the International Academy of Business and Economics, Conference at Las Vegas, USA October 17-20, 2004. Shishir K. Jha (2004), ‘Rethinking Intellectual Property Rights: The importance of the public domain’, presented at the National Seminar on ‘IPR and WTO related Issues’ under the auspices of MHRD, Govt. of India held at Visva Bharti, Santiniketan, West Bengal, March 20-22. Shishir K. Jha (2003), ‘The Impact of IPR on the Indian Pharmaceutical Industry’, presented at the AIB-India International Conference, Shailesh J. Mehta School of Management, IIT Bombay, Feb. 1. Babu Paul and Shishir K. Jha (2008) “Policy Options for Developing Countries for the Accessibility and Affordability of Medicines under TRIPS”, in Access to Essential Medicines: Compulsory Licensing, edited by P L Jayanthi Reddy, [Amicus Books, ICFAI University Press]. Shishir K. Jha (2008), “Copyright and the importance of the public domain for developing countries”, in Globalization and Development, (ed.) Raj Agarwal, Rashmi Banga and A N Bhattacharya [Excel Books]. Shishir K. Jha (2006), ‘From TRIPS to TRAP: Free Trade Agreements and copyright’ in COPY/SOUTH: Issues in the economics, politics, and ideology of copyright in the global South, [ed.] by Alan Story, Colin Darch and Debora Halbert [The Copy/South Research Group]. Sheetal Menon [PhD], “Study of Firm-level Approach to Technological Change in Indian Seed Industry“ [Defended: June, 2017] (joint). Rashmi Dyondi [PhD], “A study of Risk Behavior of Film Distributors in the Bollywood Film Industry” [Defended: 2016]. Niraj Mankad [PhD], “Strategic Evolution of Firm’s Digital Capabilities within the Entertainment Industry” [Defended: 2016]. Ashish Hattangdi [PhD], “Assessing Effectiveness of Information and Communication Technology Enabled Higher Education” (joint) [Defended: 2015]. Rojers Joseph [PhD], “Higher Education Books Publishing in India, Book Prices and the Impact of Digitization: An Empirical Study” [defended: 2014]. R Mukundan [PhD], “Study of Linkages between Innovation and Intellectual Property” (joint) [Defended: 2013]. Babu Paul [PhD], “Intellectual Property Rights And Accessibility Of Medicines – A Study with Reference To India” (joint) [Defended: 2010]. Praveen M. Bhasa [PhD], “Towards analyzing and situating corporate governance in India” [Defended: 2006]. Ph D supervision on going for following candidates: Jaithirth Rao, Anu Alexander, Namita Shah. Member, Inter Departmental Policy Committee [IDPC], Centre for Policy Studies. Executive Committee Member of Tata Centre For Technology and Design , IIT Bombay [2014-present]. Chair and co-chair of MIPS, International Conference On Management of Intellectual Property Rights, IIT Bombay [2014 & 2012]. Editorial Board, International Journal of Indian Culture and Business Management (IJICBM). Member, Editorial Team, Raintree, IIT Bombay [2009 – 2011]. 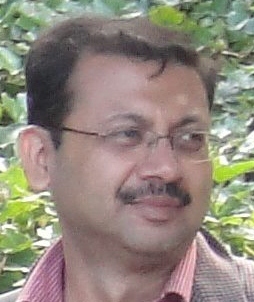 Editor, IIT Update, IIT Bombay [2006-2008]. CO-PI, MHRD IPR Chair [sponsored by MHRD, Govt. of India], [2007 – present]. White Paper, ‘Diminishing The Affordability Gap: Innovations In Microfinance For The BOP Market’, [sponsored by Tata Centre for Technology and Design]. National Project Lead, ‘Development and Launch of Creative Commons’, IIT Bombay [2007-2011]. Member, IP Policy Review Committee, IIT Bombay [2006-2010]. Member, IPR Cell, IIT Bombay, Bombay [2003-Present]. National Project Lead, Creative Commons, India Jurisdiction [2007-2011]. Past President and ex-board member of Academy of International Business (AIB India): India Chapter [2003-2010]. Miscellaneous: Member, School Policy Committee (SPC); Faculty Coordinator – Admission Committee; Member, School Post Graduate Committee (SPGC); Faculty Coordinator – Time Table; Faculty Coordinator – School of Management Association (SOMA); Faculty Coordinator – Placement and Project. [over various years]. Keynote Speaker, Annual Lecture on, “Copyright and the public domain: The Library’s Role”, Bombay Science and Technology Association, TIFR, Mumbai, August 08, 2105.